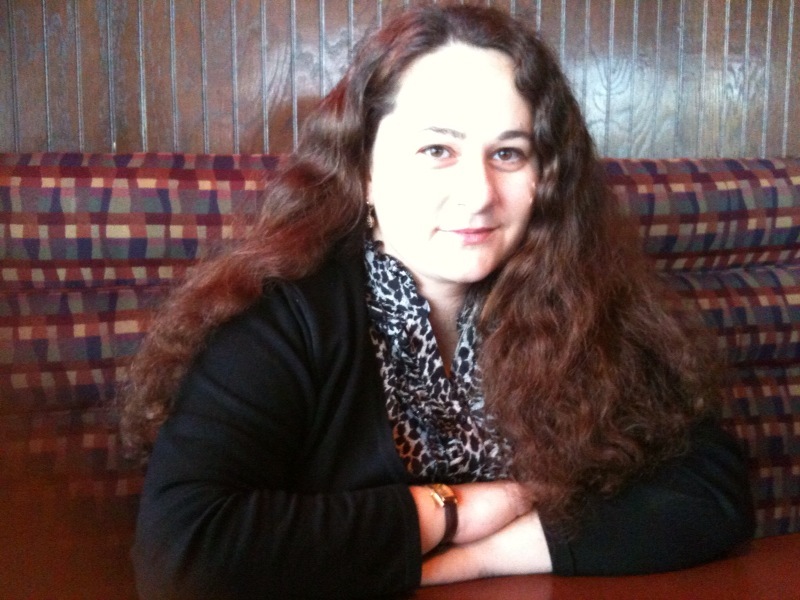 My name is Elisa Hategan and I’m a Canadian writer and freelance journalist. Today I’ve decided that I can no longer be silent about the upcoming Canadian Federal election and the vital importance of choosing a leader who will repeal Bill C-51, which has now become law and gives Canada’s spy agency CSIS unparalleled powers to spy on its citizens. 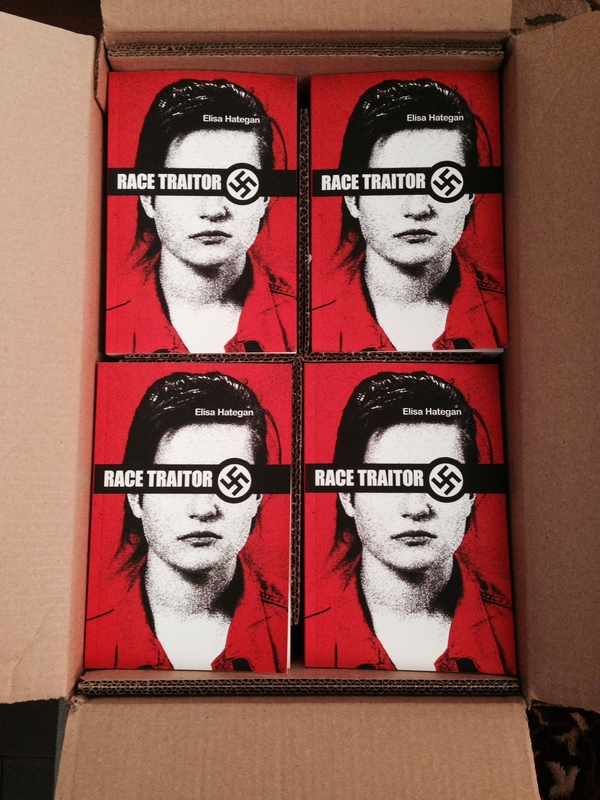 If you scroll down to the end of this page, you will be able to download a free excerpt of some of the most explosive parts of my 2014 memoir Race Traitor: The True Story of Canadian Intelligence’s Greatest Cover-Up. 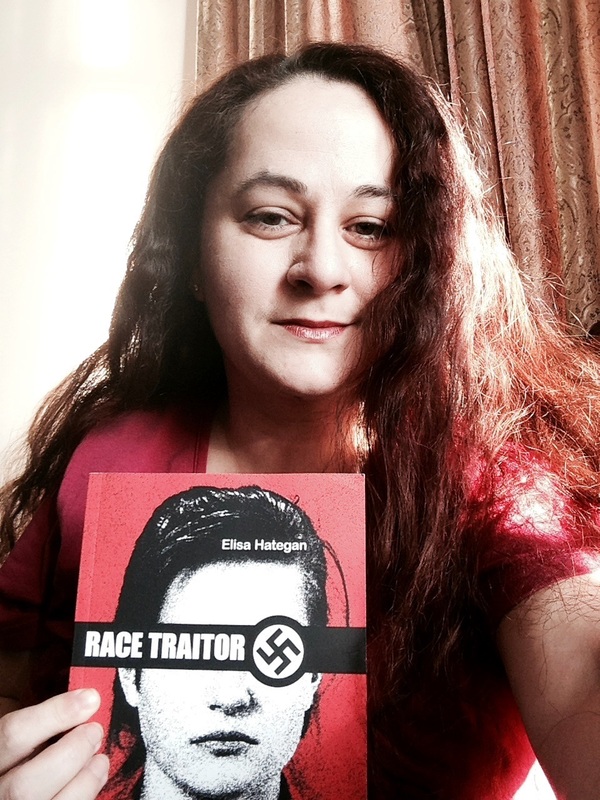 When I was sixteen years old, I was recruited by a Canadian domestic terrorist group calling itself the Heritage Front – an extremist right-wing, white supremacist group with strong ties to Neo-Nazi Holocaust revisionists, the American Ku Klux Klan and even Muammar Khadafi. They became the family I never had. Two years later, after I witnessed the targeting of innocent people for harassment and violence, I realized I had to find a way to shut them down. At first, I couldn’t see a way out. 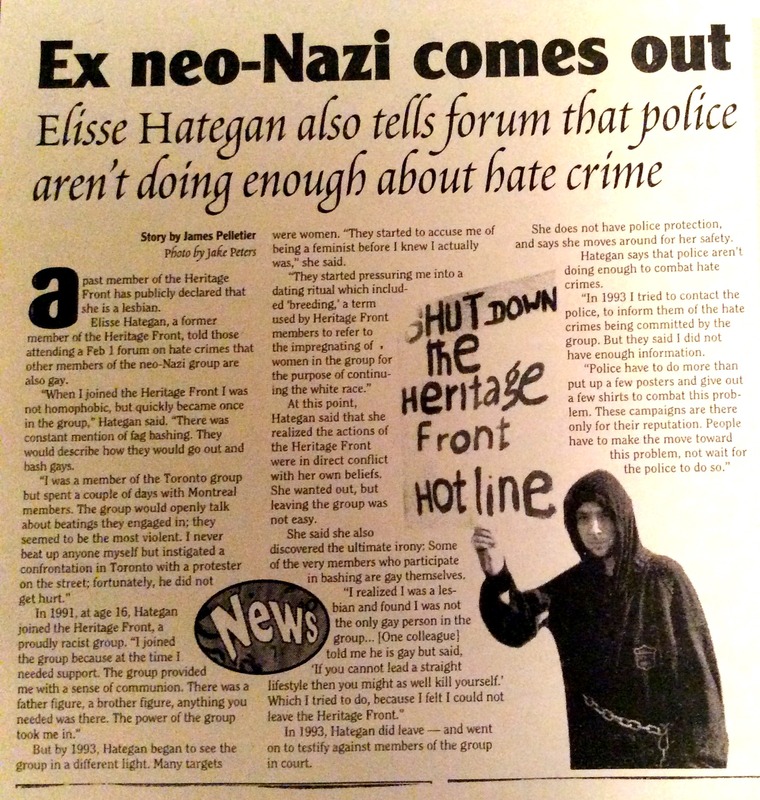 After I found support from a few courageous anti-racist activists, I spied on the Heritage Front for four months. 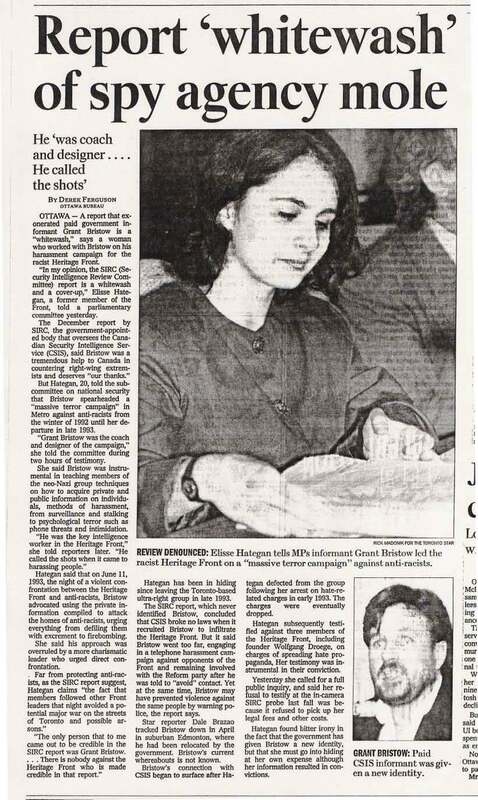 In March of 1994 I took the stand and testified against a handful of group leaders in a contempt of court case that led to convictions and jail sentences. Within months, it was revealed that one of the three founders of the group was a paid agent of CSIS, Canada’s intelligence service. 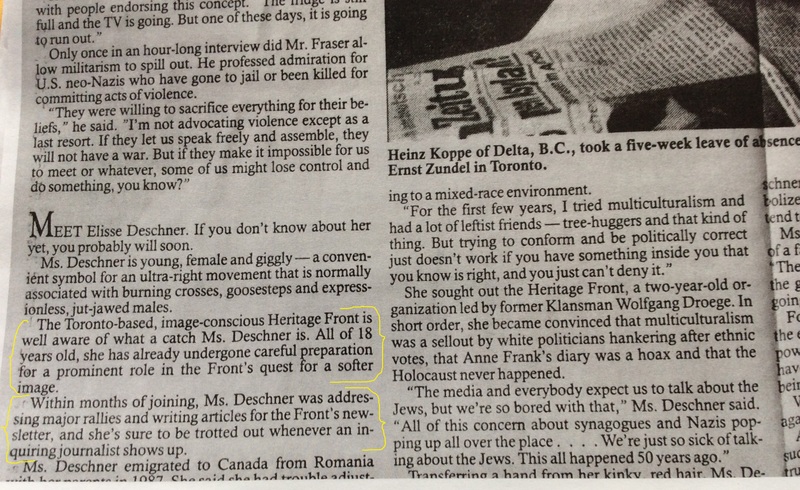 To put it bluntly, the Heritage Front had been created and partially-funded with the help of Canada’s own Security and Intelligence Service. Despite the fact that I possessed a significant amount of information related to criminal activity within the Heritage Front, authorities showed no interest in taking any kind of action against the group. After repeated appeals to the OPP (Ontario Provincial Police) and the RCMP (Royal Canadian Mounted Police) were ignored, I was officially denied admission into the Witness Protection Program. 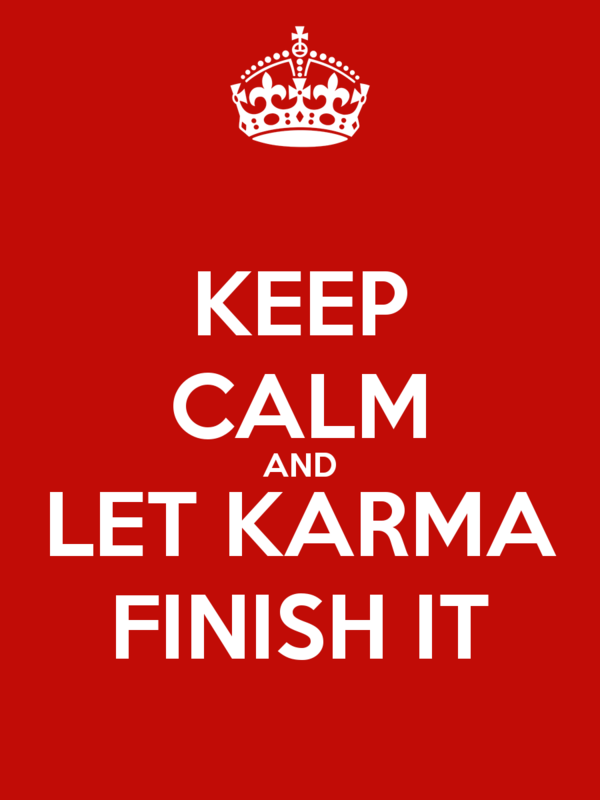 All my affidavits (detailing names and addresses of Heritage Front members who owned various weaponry and explosives, as well as detailed accounts of verifiable stalking, threats and harassment of community activists) were dismissed by police without as much as a single attempt to verify their authenticity. 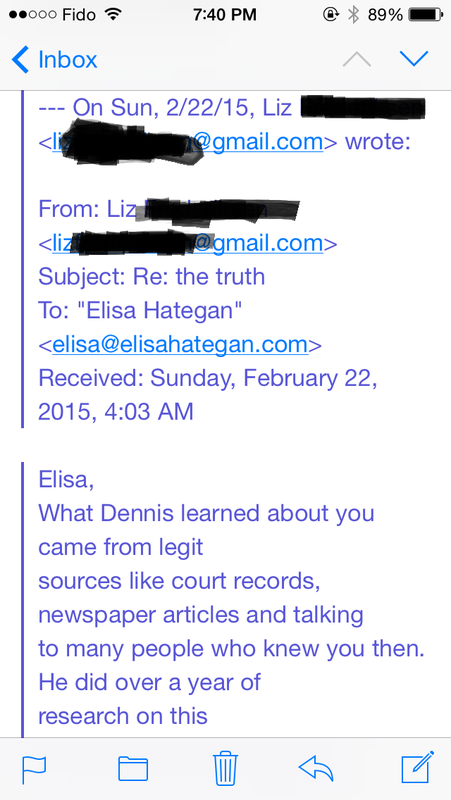 I would later find out from an insider (as broadcast in a 1994 episode of CBC’s The Fifth Estate that featured evidence obtained from anonymous, highly-placed police and intelligence sources) that a CSIS mandate had circulated advising police forces to deny me protection and ignore my information, even at the risk of Canadian taxpayers and the threat to my own life. 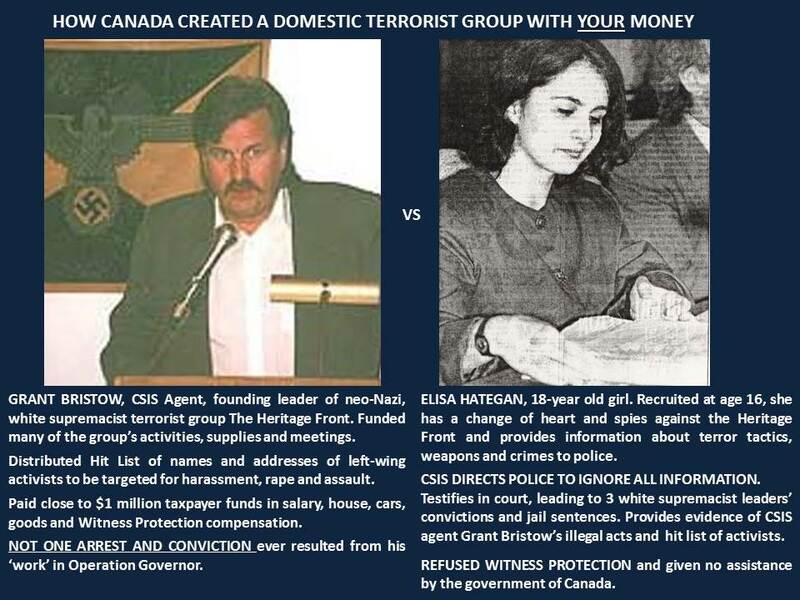 Over a period of five years, CSIS had sunk a huge amount of money into Operation Governor, which involved the creation of a neo-Nazi organization in Canada and escalating its levels of violence and armament. 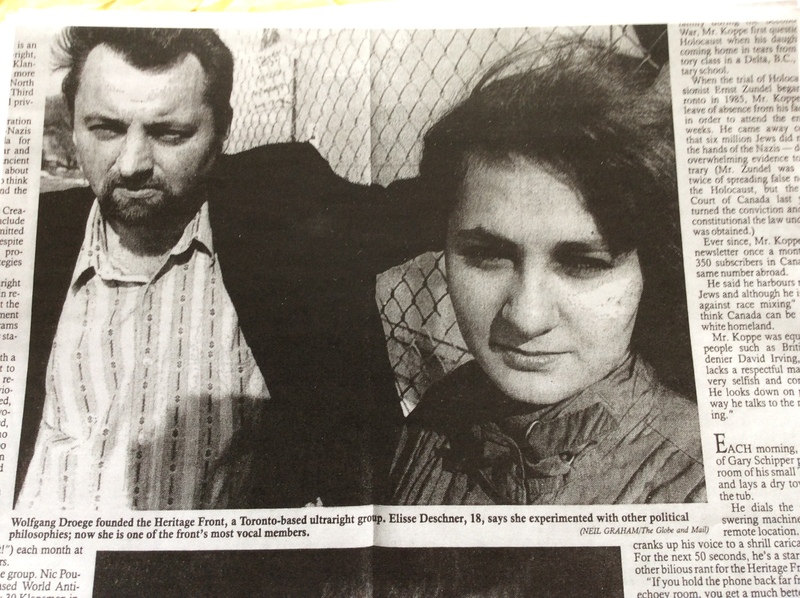 They couldn’t risk their house of cards to fall apart on the testimony of a teenage girl. 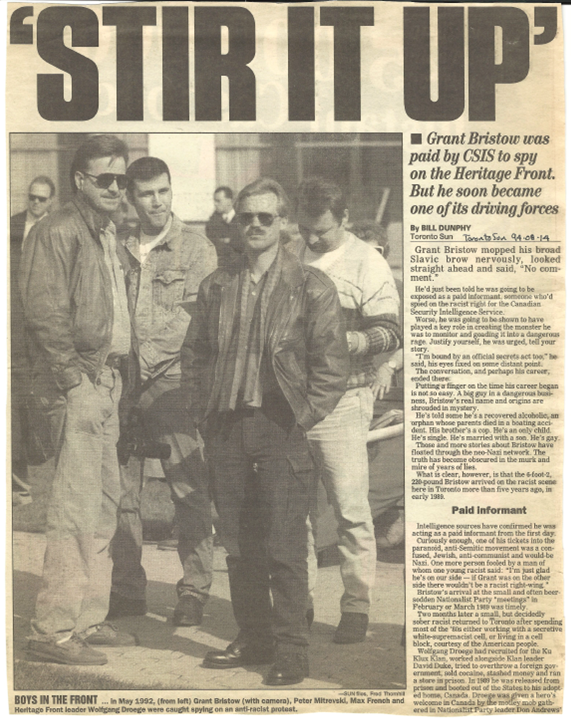 When details of CSIS’ Operation Governor did come out in the press, after an exposé authored by Toronto Sun reporter Bill Dunphy in August 1994, the operation was terminated. The agent who had co-created the Heritage Front, Grant Bristow, was quickly whisked away into Witness Protection, given a payoff totalling hundreds of thousands of dollars, two new cars and a four-bedroom, three-car garage home in another Canadian province. No testimony or information from Grant Bristow EVER resulted in any arrests and convictions. In the spring of 2015, Canada’s Prime Minister Stephen Harper (who in the 1980s was a member of the extreme right-wing Northern Foundation, which had Heritage Front and Reform Party members, along with skinheads, anti-abortionists, Holocaust-deniers and Conrad Black) has announced a new bill that essentially duplicates the NSA laws of arrest without warrant under the pretext of “terrorism”. Bill C-51 is extremely troubling, considering that they will be giving CSIS far greater powers than ever before, turning it into what many have called a “Secret Police” with far-reaching powers. However, it has now become LAW. 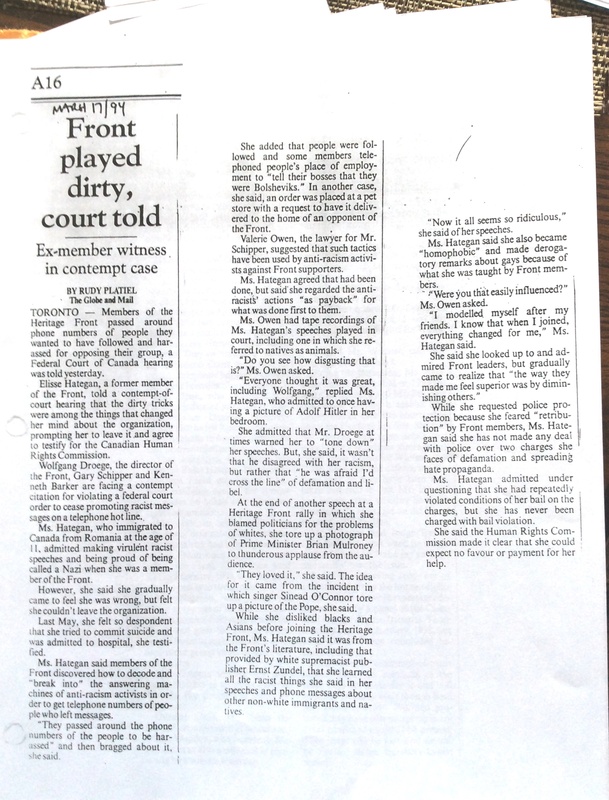 This excerpt includes Chapters 16 and 19 of my memoir, which reveal information I also included in my 1993 sworn affidavits. 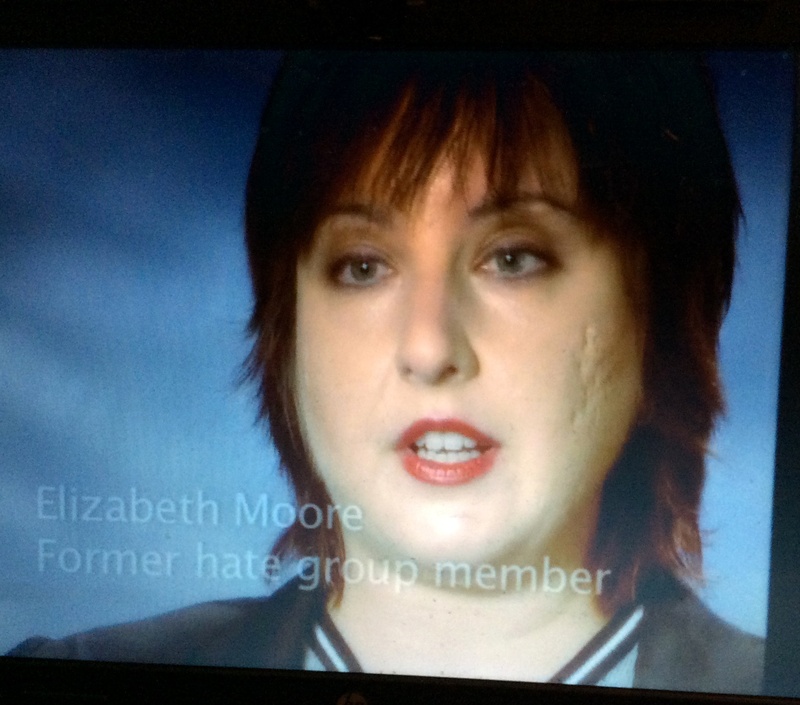 They reveal disturbing information about the It Campaign – Grant Bristow’s involvement in encouraging criminal behaviour and activity in dangerous white supremacists and neo-Nazi skinheads. After you read this, you might get a better idea of why CSIS’s new mandate includes the provision that civilians are not to be raped or murdered. C-51 MUST be stopped, or at the very least re-examined. The repeated violations and more violations on the part of the former intelligence unit of the RCMP, which became CSIS, which evolved into CSEC, cannot be overlooked. Neither is Harper’s ongoing use of CSIS as his personal domain pet whenever he wants to keep tabs on anti-fracking protesters, Green Party members, or whoever is opposed to the Conservative Party’s mandate. Such collusion between government and intelligence agencies is insidious at best, and will be used politically to defeat (or even imprison) political opponents. 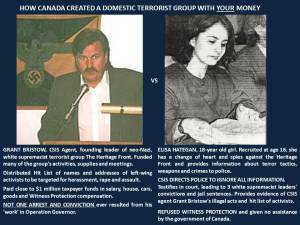 History has already showed us what can happen when agents run amok: Grant Bristow’s handlers had been inherited from the same RCMP department which preceded CSIS’s inception. Back in the 1970s they were burning barns in Quebec while blaming it on the FLQ. 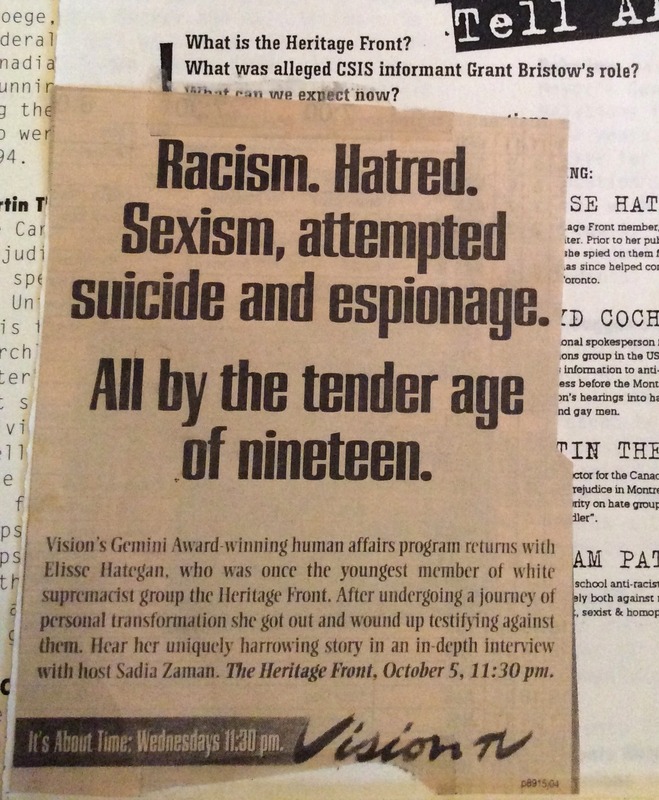 After that scandal ensued and RCMP intelligence was disbanded, they moved over to the newly-minted CSIS and taught neo-Nazis and violent skinheads (some of whom were part of the now-disbanded Airborne Regiment) intelligence techniques, thus contributing to assaults, stalking, harassment and worse. Since they got away with all of the above, I cannot imagine what will happen when they gain autonomy. 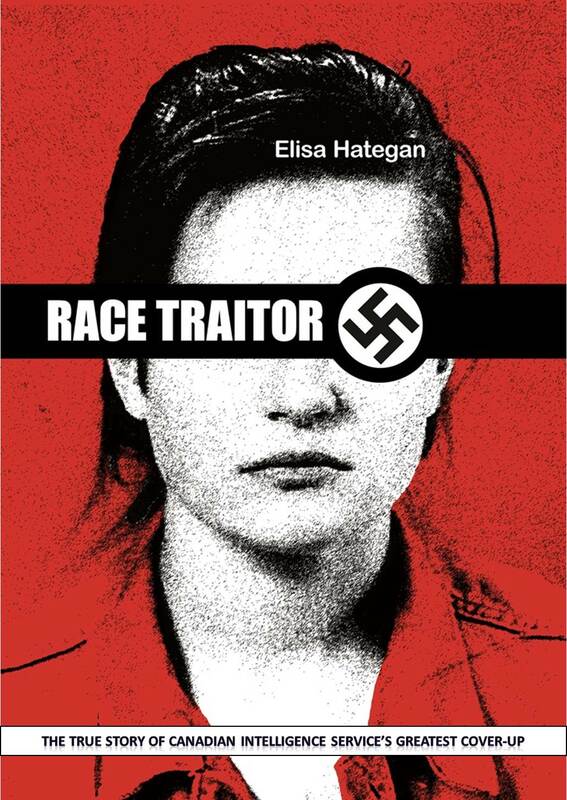 At the end of this PDF sample you will find a brief media library with photos, links to newspaper articles, blog links and videos that cover the events described in Race Traitor. 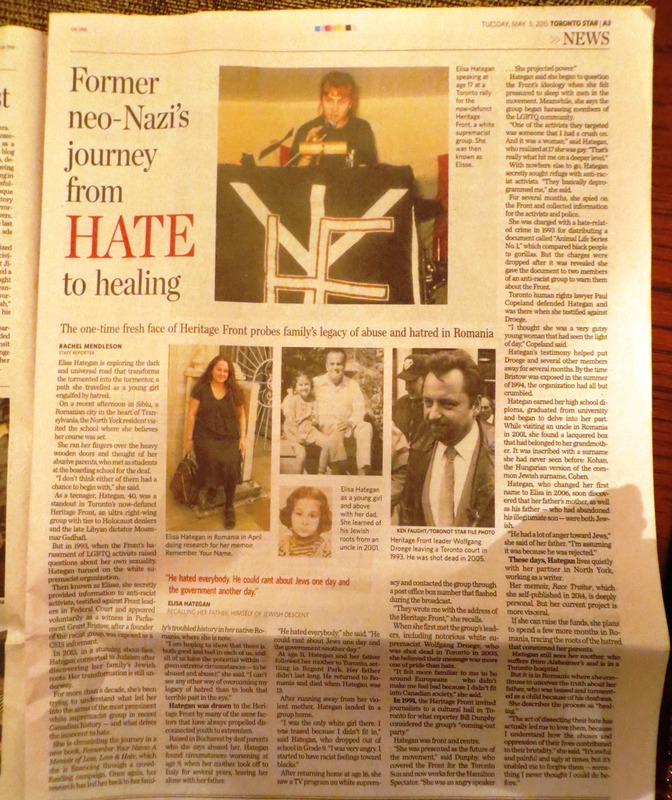 This is only a starting point, and consists of articles myself and other activists managed to collect during that time. All these articles are still in the public domain and easily accessible via archival libraries and microfiches. I also included direct links to sites where you can purchase the book. I am grateful to all who buy a copy or offer a donation for this free PDF. Without the support of wonderful people and community activists who believed in me, I would never have made it through my teenage years – I am deeply thankful for your help.